The blade is a slim, modified drop point with top swedge, machine satin finished on the grinds and satin sanded on the flats. The handle is lightweight G10 with a secure—and weight-reducing—inset liner lock. The handle has a layer of carbon fiber, yes. But it is unlike others you may have seen. To ensure your experience with the Atmos is cloud-smooth and blue-sky easy, Kershaw chamfered—smoothed and angled—the edges of the carbon fiber to make sure it feels comfortable when you hold it in your hand and that it glides into and out of your pocket smoothly and easily, too. Designed by Dmitry Sinkevich, the Atmos features Sinkevich’s characteristic clean and practical design — but enhanced with extra detailing. 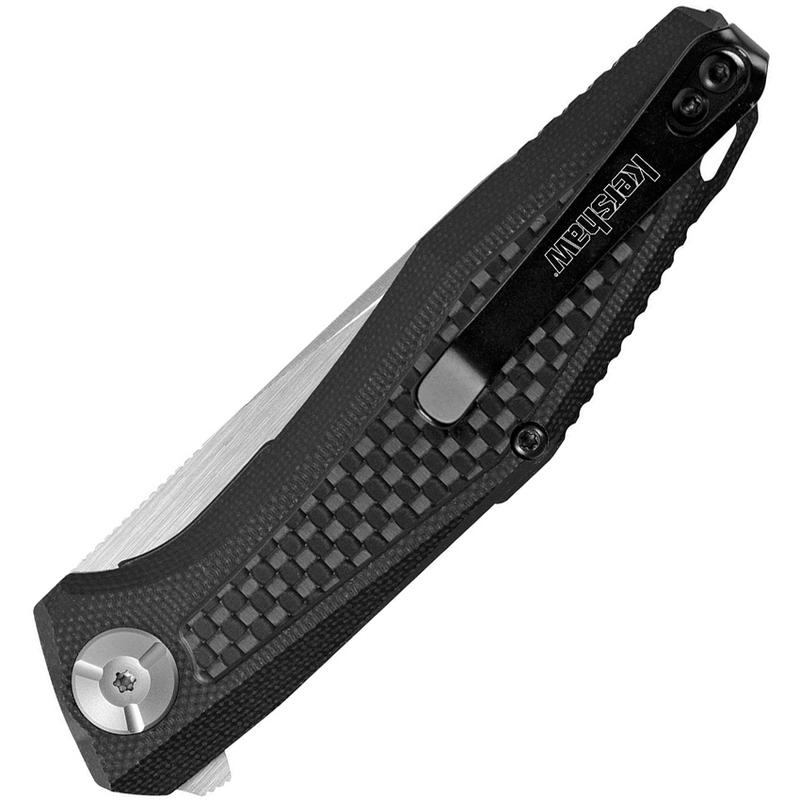 In addition to the chamfered carbon-fiber, it also has a custom oversized pivot, a backspacer with wide lanyard attachment, and a reversible, deep-carry pocketclip. This manual knife opens quickly and easily with Kershaw’s KVT ball-bearing opening system. Extra detailing like this gives the Atmos a refined style that easily bridges the gap from workday to night on the town.